Show off your love of fine art with these fun and colorful crew socks! 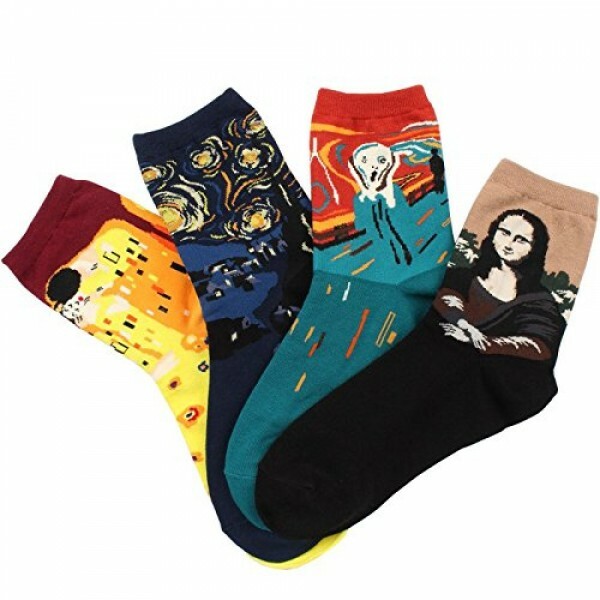 Da Vinci, Van Gogh, Hokusai, Klimt, and more are represented in different packs of these cotton blend socks. 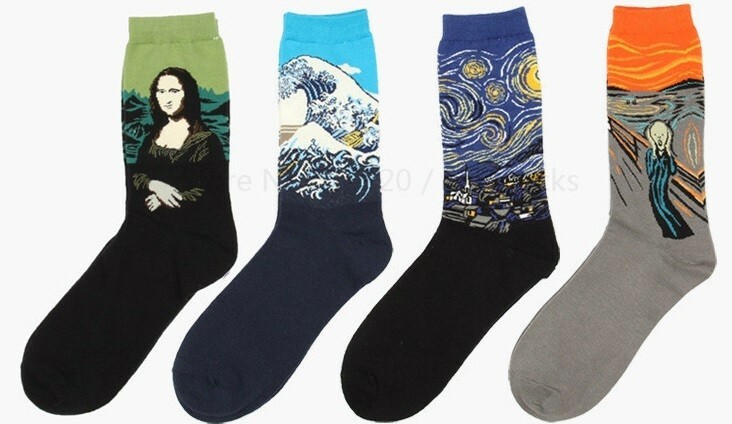 One size fits most shoe sizes 5 - 9.